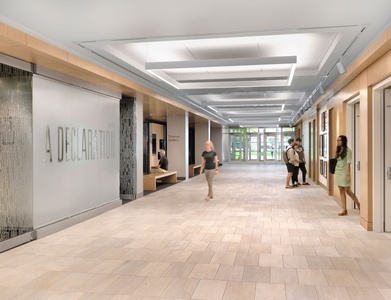 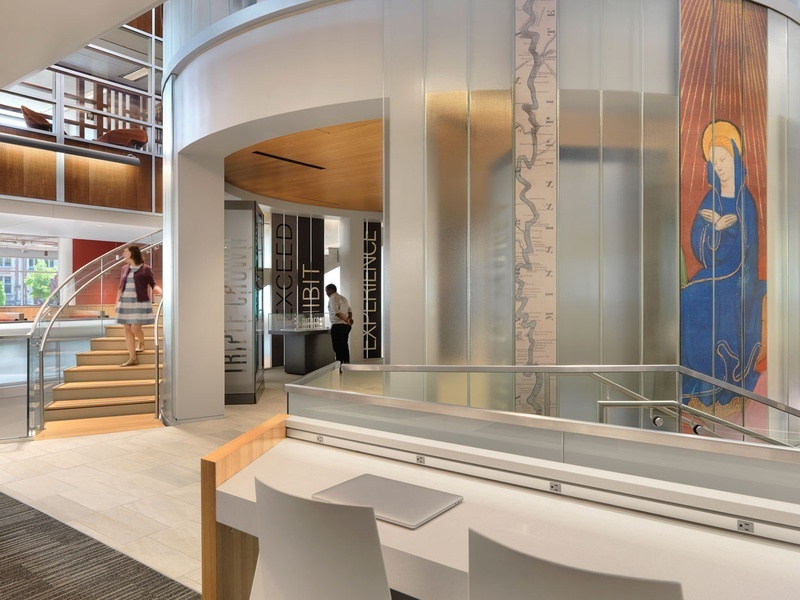 The Olin Library transformation and expansion included new spaces and resources for learning, research, and teaching. 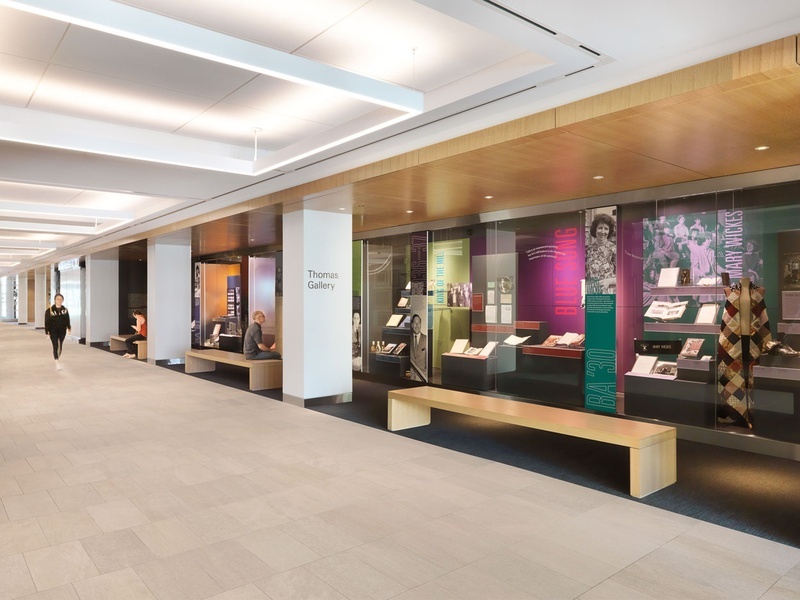 C&G Partners was responsible for the exhibit and experiential design—along with the signage—for the library expansion. One of the flagship features is an exhibit of a rare broadside copy of the Declaration of Independence, dated July 12, 1776. A chamber was created, to the highest level of archival and security standards, to house the valuable manuscript. 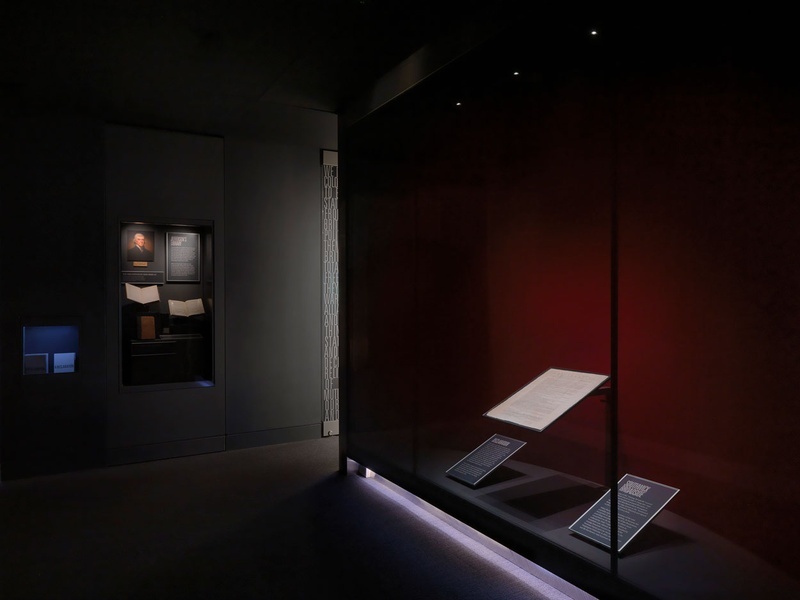 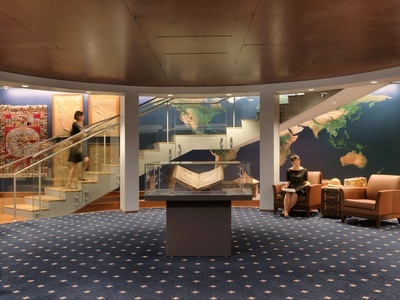 Inside the low-light chamber, the Broadside commands center stage while a flanking interactive monitor offers an in-depth interpretation of the manuscript and nearby case foregrounds other Olin Library manuscripts. 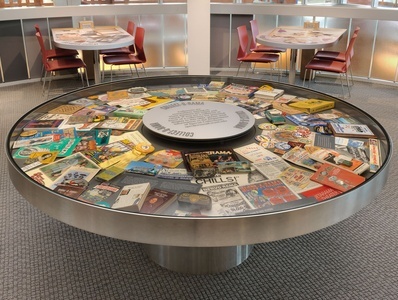 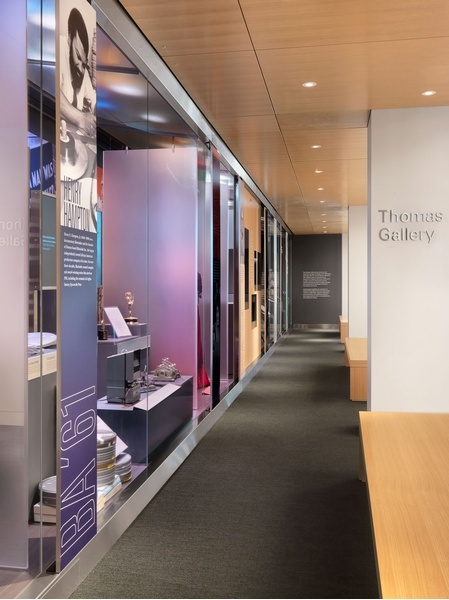 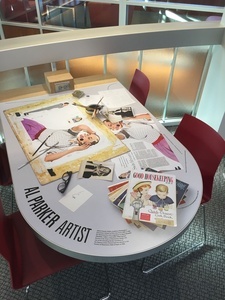 The nearby Thomas Gallery features a 60-foot long archival case that features University alumni and affiliates including author Tennessee Williams. 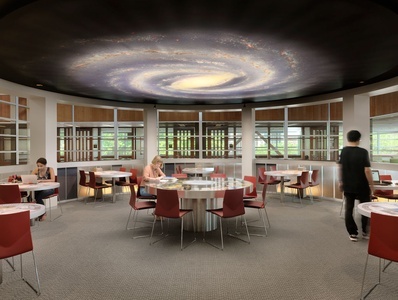 The core of the Library is a four-story tower that rises from the special collections basement vault to a skylit conference room.